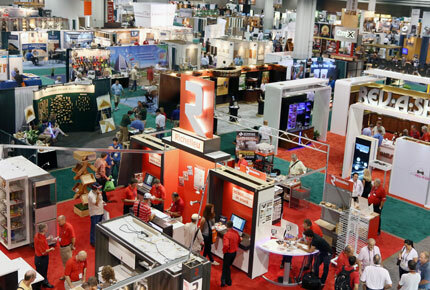 The International Woodworking Fair (IWF), North America’s largest woodworking technology trade show, will return to the Georgia World Congress Center on August 20–23 with approximately 900 exhibitors showcasing new design trends, software developments, manufacturing innovations and safety solutions. The event will be sponsored by the Woodworking Machinery Manufacturers of America (WMMA) and the Woodworking Machinery Industry Association (WMIA). Stringfellow says the WMMA, which works to enhance the competitive position of domestic machinery manufacturers, has long supported IWF. He adds that 115 of the WMMA’s member companies (about 85% of the WMMA) will be exhibiting at IWF 2014. Riccardo Azzoni, WMIA executive vice president, says 220 companies will be exhibiting for the first time. Approximately 80 exhibitors, he adds, are WMIA members. The WMIA, which works to keep the North American woodworking industry in touch with global technology, services and information resources, will host an open session on its new Technical Advisory Group (TAG). The group, Azzoni says, is currently operating under the American National Standards Institute (ANSI) to modify the latest machinery standards in safety, electrical, mechanical and guarding. “Many standards available in Europe under the ISO [International Organization for Standardization] are currently not available in the US,” Azzoni says. “The goal is to harmonize them with existing U.S. standards or to create new standards that are not in the books right now,” he adds. 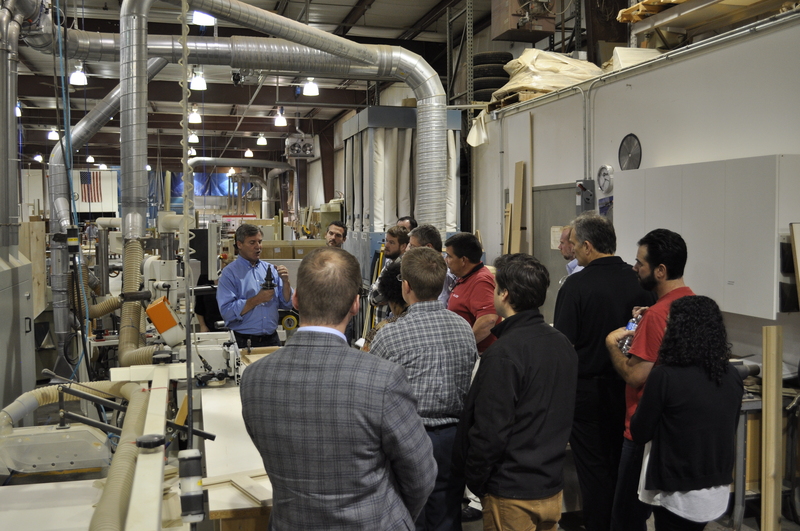 Members of the Technical Advisory Group include professionals from Pittsburgh State University and associations such as the Cabinet Makers Association (CMA), the Kitchen Cabinet Manufacturers Association (KCMA) and the Architectural Woodwork Institute (AWI). Azzoni says he is looking forward to bringing more organizations into the TAG and developing new standards, which will help to prevent accidents and create safer equipment. The open session will take place on Wednesday, August 20 from 3 – 4:30 p.m. Speakers from the ISO and WMIA will present the progress and goals of the TAG. In addition to the WMIA’s initiative to unite global standards, Azzoni says IWF 2014 will feature a Qualified Dealer Program designed for regional distributors. The program will allow WMMA and WMIA members to enter the show floor a day in advance, providing distributors with the opportunity to locate suppliers and learn about new offerings. 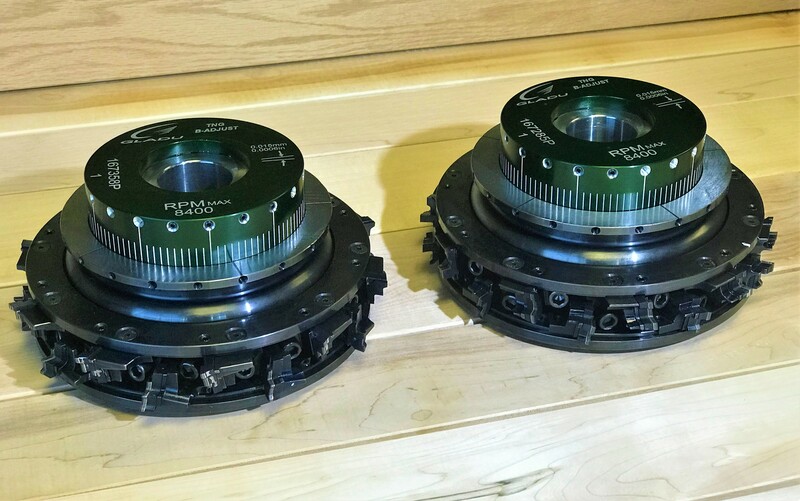 With the extra day to prepare for the show, distributors will be able to navigate the floor while guiding customers toward new tooling, machines and software. New products will also be showcased in the IWF’s new technology theater, Azzoni notes. Located on the main floor in Hall B, the theater will feature about 50 seats for the public with AV equipment and a presentation stage. The technology theater will feature 16 presentations from Wednesday through Friday, including “Flexible Panel Storage Systems, Inventory Management and More,” by Scm Group, and “The Power of Product Configuration: Increasing Profitability in Semi-Custom and Custom Manufacturing,” by 2020. Expectations for IWF 2014 have been very high, Azzoni and Stringfellow both note. Azzoni says exhibitors are reporting an increase in business and an optimistic outlook due to a strengthening economy. In addition to an increase in exhibitors, Azzoni says overall attendance at IWF will be higher. Pre-registration is already 10 - 12 percent higher than in 2012. It’s a comparison, but the pre-registration is a small number compared to the people who register at the door, Azzoni says. IWF Chairman Rick Hannigan of Weinig/Holz-Her says exhibitors are expressing their confidence in the industry and its growth by taking more floor space and agreeing to show more new and advanced technologies. With the renewed confidence, Hannigan says the woodworking industry is also demonstrating an increase in stability and an outlook of steady growth. “Change inside our industry has become more rapid and there is a strong desire for owners to reinvest in their companies, to improve quality, productivity, flexibility and profitability,” Hannigan says. “With almost 900 exhibitors, this is our opportunity to truly focus on the latest technology of our members,” Stringfellow says. He highlights cutting edge advancements such as 3D printing. In addition to exhibitors providing insight into design trends, software development, new manufacturing technology and new safety solutions, IWF 2014 will feature an opening night reception on August 20 from 5 - 8 p.m. Taking place in the Georgia World Congress Center Ballroom, the reception will feature dinner, drinks and performances by live musicians. Attendees are invited to network with friends, suppliers, co-workers and fellow professionals. On the following night, August 21 from 5 – 7 p.m., IWF will feature an International Americas Reception for Canadian and Latin American attendees. The peer-to-peer networking event will include complimentary food and beverages provided by the sponsors. IWF 2014 isn’t just expanding its networking opportunities. More than 50, 1 to 1-1/2-hour learning sessions will take place during the show and five all-day symposiums will be offered on Tuesday, Aug. 19, the day before IWF begins. The educational sessions will include topics such as business development and online marketing, production, 3D printing, wood finishing and responsible wood sourcing. On August 19, Woodworking Network Editorial Director Bill Esler will moderate the full-day symposium, “Woodworking Inventors: Creating New Products, and Business Approaches.” Featured speakers will include Jared Patchin of J. Alexander Fine Woodworking, Corbin Clay of Azure Furniture, Adam Rogers of Thos. Moser Cabinetmakers, and Peter Mai, inventor of the Korner King Lazy Susan. The woodworking inventors will discuss their experience in developing new tools, software, products and manufacturing techniques in order to succeed as business owners. Patchin, who used his family-owned wood products manufacturing company as a springboard for his own custom business, will explain how the success of his business required the ability to be flexible and adaptive in a changing marketplace. Corbin Clay will discuss the business methods behind his company Azure Furniture, which he named after the blue coloration in beetle-kill pine. Clay’s furniture line places the otherwise undesirable aesthetic at the forefront, which allows him to maximize output on his material cost. Adam Rogers, director of design and chief creative mind behind Thos. Moser’s award-winning contract furniture line, Element, will focus on his product development process and strategy of collaborating with outside designers. Peter Mai, inventor of the Korner King Lazy Susan, will share how building more than 500 custom kitchens led to the development of his invention. Mai will also explain how SEO-driven web promotions helped to expand his online presence. Design Inc., on August 20 at 9:00 -10:30 a.m.
Zaleon’s workshop will discuss online social networking and marketing tools as they specifically relate to the kitchen and bath industry professional. Later in the afternoon, from 1 - 2:30 p. m., Zaleon will delve further into Internet marketing with “The Truth behind Search Engine Optimization.” His discussion will address techniques used by successful websites to appear at the top of a customer’s online search. Monopolize Your Market CEO Rich Harshaw, and Vice President Bryan Bauman, will present “How To Turn Lookers Into Buyers - Make Your Website A Selling Machine & Generate More Leads,” on August 21 from 9 - 10:30 a.m.
Harshaw and Bauman will discuss how the website has become the hub of a company’s marketing program, and how clear, transparent, accessible information is essential to turning online prospects into customers. In addition to branching out in the digital marketplace, woodworking experts will cover a variety of topics ranging from wood finishing to 3D printing. The Cabinet Makers Association will present “Managing a Profitable Wood Finishing Operation on August 22 from 10:45 a.m. - 12:15 p.m., and Ron Gilboa, director of functional and industrial printing service at InfoTrends, will present, “Is it for me? A Primer for 3D Technology” on August 21 from 9 a.m. – 10:30 a.m.
On Friday, Aug. 22, “Housing Markets & the Secondary Woodworking Industry – Lessons from the Downturn,” will be presented by Urs Buehlmann of Virginia Tech, Matt Bumgardner of the USDA Forest Service, and Wood Products Editor Karen Koenig. During the session, the presenters will share actions that have been helping woodworking companies through the recession. They will also will discuss the current state of the U.S. housing market, as well as manufacturers’ perceptions of recent market conditions. In addition to identifying some of the actions and characteristics associated with success through the downturn, the presenters will share results from recent studies including Wood Products’ annual industry housing survey. Wood Products and Woodworking Network will be stationed at Booth #1860, covering IWF 2014 with a live stream of tweets, posts, videos and publications from the show floor. Follow our coverage live at @WoodworkingBiz #IWF14. The editors of Woodworking Network will also be producing the Official IWF Show Daily, a publication delivered each morning of the show. Dates August 20–23, 2014. All-day learning symposiums begin Tuesday, August 19, the day before the exhibition opens. Times Wednesday – Friday 8:30 a.m. – 5:00 p.m. Saturday 8:30 a.m. – 4:00 p.m. Highlights More than 900 exhibiting companies from around the world, 50+ educational sessions on topics from wood finishing to business management, and presentation of the Challengers Distinguished Achievement and Student Design Emphasis awards. Information Visit IWFAtlanta.com, follow IWF Atlanta on Facebook and @IWFAtlanta on Twitter, or call (404) 693-8333.